Tiger Woods wore a non-traditional shirt combination on Sunday. As in double-digits in the red come Sunday afternoon at Torrey Pines. Woods out-played just about all the contenders over the final 18 and by day’s end, closed with a fashionable 67 to finish 10-under par in his return to the PGA Tour. “Each day I got a little better — it was nice,” Woods said, flashing a huge smile. His final round started without much fanfare. Playing the back nine first, he turned even par and needed a low number on the front to reach his goal. 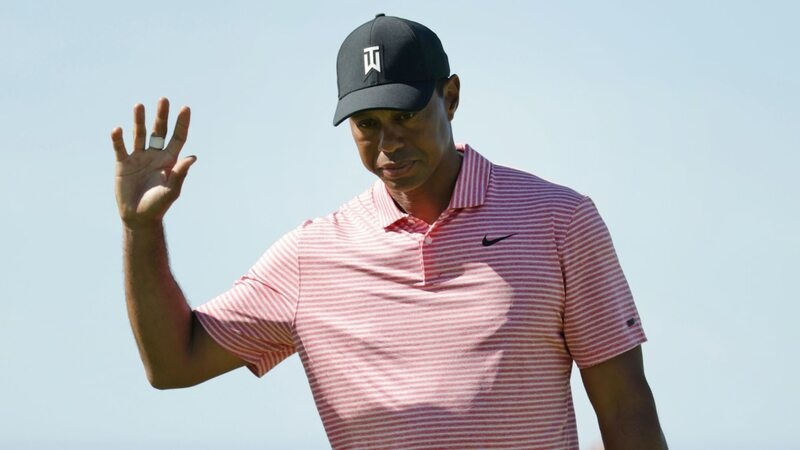 Despite 30 putts on the day, Woods put together a run of five birdies coming home including back-to-back at the eighth and ninth to finish his day and shoot 31. Woods said he wants to improve his iron play between now and his next start, which will be in Los Angeles in three weeks at The Genesis. “I need to work on getting my irons hole-high,” he pointed out. Woods also threw some doubt on his schedule after The Genesis. The following week is the first WGC event of the year — WGC Mexico — and Woods gave no indication that he is certain to play.